Home / Unlabelled / Famous companies 18 medicines, including cough, were found fake: Do you know which companies? The fake drug business is running in the state all over the state. 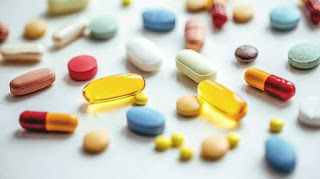 The patients who are hoping to get rid of the disease by buying expensive drugs from the market on expensive prices, those substances are not present in the medicines, which will cure the disease. Explain that drug racquets have marketed fake drugs of the well-known companies in the market. Many such medicines have been caught in which the salt was either too low or more by fixed standards. The Department has frozen such 18 types of medicines from the state. After coming out in the investigation report, the medicines are being sent back on one side. Meanwhile, the makers of counterfeit drugs have been booked in the police in the state. These counterfeit and non-standard drugs are for the treatment of vomiting, diarrhea, cough, allergies, asthma and antibiotic category. The Department of Drug Control has sampled these drugs throughout the state, which have been found to be successful in the investigation. It had reached the market to sell the medicines. The department took their samples and freeze them.The counterfeit drugs have been completely banned for sale and the stock has also been withdrawn.Among the medicines that have been found to be fake, PaintPrazole and Dopperidone Tablet, Montoolocast Sodium and Livocytrazin Hydrocloride Tablet, Antric Coated PaintPrazole Sodium and Dopperidone SR Capsules, PaintPrazole Gastro Registry Tablet IP, SafePodoxin Tablet IP 200 mg,Amoxiline and potassium clavulentate, calcium supplements with vitamin D3 tablet, seffixim tablet, azithromycin tablet, galimepride and metformin hydrochloride tablet, telmistrain tablets, calcium carbonate, diclofence sodium etc. are included.